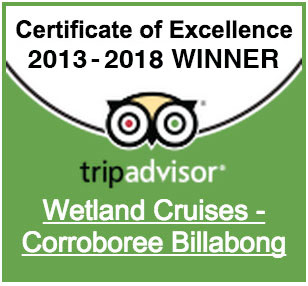 Our 2.5 hour cruise allows time to really explore the wetlands without any rush. 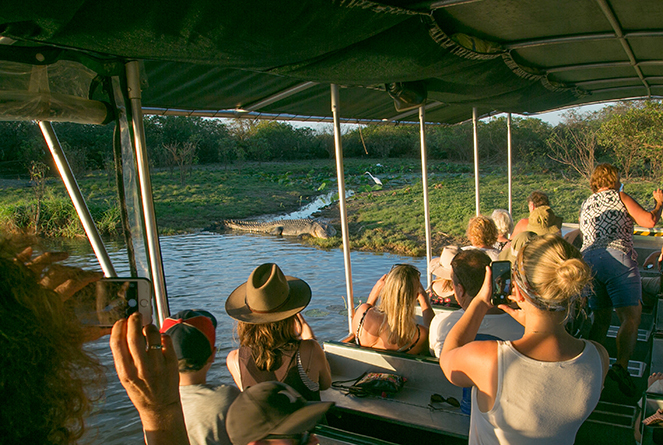 Discover the quieter sections of the billabong as we meander through the various interconnecting channels viewing crocodiles and beautiful birdlife. The wetlands “best locations” are constantly changing throughout the season. Having lunch onboard the vessel allows us the flexibility to select the most suitable location where you can enjoy a delicious lunch surrounded by nature at its very best. Lunch consists of a selection of sliced meats, bread and a delicious salad with optional dressing. Iced water is provided. Even though this cruise is operating during the warmer part of the day, there is still usually plenty of opportunity to view wildlife.